SORRY! Life has got in the way, and I haven’t had chance to get near my blog, or if I have, I’ve been easily distracted. This week we have the fantastic Catherine Hokin writing a guest post. Catherine is a Glasgow-based author whose fascination with the medieval period began during a History degree which included studies into witchcraft, women and the role of political propaganda. This kick-started an interest in hidden female voices which resulted in her debut novel, Blood and Roses. Bambi, dear reader, is a newbie author. One day a professional, competent person who understood the world and its tribal languages and could even (sometimes) get its teenage kids to do what was needed, the next a wide-eyed ingénue staring at a message that isn’t the expected rejection but contains the magic word yes glittering at its centre. Your publisher wants your book – they may not want you with your crazy questions about sales and marketing and covers and launches and…Watch how the UN works and learn diplomatic skills. Quick. Define words carefully: my publisher told me I would have cover input but not control. Beware that phrase. My book is about the Wars of the Roses, more specifically a feminist revision of Margaret of Anjou. There is a lot of blood and no romance; it is not a ‘bodice-ripper’. I said that a lot, yet the ‘holding cover’ which appeared on the publisher site looked like a soft-focus gardening catalogue. Teeth were gnashed. We discussed crowns, we discussed blood (a drop, not a crime-scene), we discussed colours (black, red, gold). We agreed it wouldn’t be girly. At all. Timescales came, timescales went, then, with 24 hours to go before the wholesale catalogue needed the completed artwork, the cover came…It was pink, the palest pink, with pastel blue flowery blood bursts and a wishy-washy watermark of Margaret. Toys flew out of the pram like nuclear missiles. The UN were called. Throw yourself on the mercy of other authors – they will explain things like hashtag days and blog tours, they will share their own war stories, they remember your pain and their scars have healed…almost. There are lots of communities out there so pitch in. Enjoy every mad moment and celebrate every little success (there’s a reason authors and alcoholics are often mistaken for each other) – why? Because you did it…you’re an author. This is the best rollercoaster you will ever ride: when you finally get to the end, you will be sat in a bookshop, signing copies of your book, surrounded by people applauding your achievement. You will be in Authorland and, trust me, you’ll be itching to get back on the ice as soon as book one is done. To find out more about Catherine check out her website here, her blog here, and you can follow her on twitter here and like her facebook page here. Whoop! 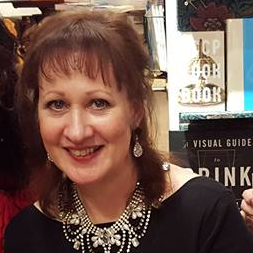 The AWARD WINNING Mandy Baggot is on the blog today talking about the path to publication, and judging by how many books she’s written, I think it’s safe to say she knows her stuff. You’ve written your novel. Your best friend has read it. You’ve read it so many times you’re sick of the sight of it. You hate the heroine. You wouldn’t fall in love with the hero if he paid you to and, if it’s a thriller, you’re seriously thinking about becoming a serial killer and making the first victim your manuscript. So, what happens next? Well, it’s totally up to you! Today’s writing arena is jam-packed and stacked full of opportunities for authors. Here’s my top tips for the next step after you’ve got all the words on paper. A great way of getting advice, observations and constructive criticism on your manuscript is to use friends, readers, fellow writers or a professional agency/organisation. These are the people who are going to read your story like it’s a book they’ve bought from Amazon and point out areas where it might need work or bits that could be improved on. They will spot flaws and holes in your plot, point out where your timeline goes a bit wonky and where Henry became Harry or when Auntie Jacky’s age changed from forty five to fifty ten chapters in. For romance writers, consider applying to join the very popular Romantic Novelists’ Association New Writers scheme. More details can be found here. An agent can open doors to larger publishing houses you wouldn’t ordinarily be able to submit to on your own. An agent will look at your manuscript and decide whether they feel this story and the genre will fit on their list and if they feel confident they will be able to sell the idea and/or you to a publishing house. These days publishers aren’t just looking at the story that arrives on their desk, they are looking at you! Agents and publishers like writers to have a strong social media presence and be committed to creating relationships with readers through these channels. If you decide an agent is the best way forward for your writing career they will also provide you with invaluable advice on market trends, foreign rights, and editorial aspects of your work and be your biggest cheerleader whether you’re celebrating or commiserating. You can submit your work all by yourself to a lot more publishers than ever before. This means, if you’re accepted, you won’t have to give away any of your royalties to anyone else. Most agents take a cut of 15-20%. However, this also means all the work will be in your hands – submissions, edits, timescales, and decisions – all coming at you direct from the publisher. My current publisher, Bookouture, publishes a wide range of genres and accepts un-agented submissions. Find out more here. Amazon Kindle Direct Publishing, Wattpad and Smashwords have made it super easy for authors to get their work into readers’ hands. Within hours of loading your manuscript onto your chosen site, your book can be available to read by anyone in the world! Sounds scary? It doesn’t have to be, but you do need to be prepared to be your own agent, publisher and marketing guru all rolled into one. I have successfully self-published six novels and for me it was all about getting my work out there and finding readers who liked it. I learnt so much doing it this way and I don’t regret taking this particular step as my first one on my publishing path. But the main thing to remember is that what works for one writer might not work for another. Look at all the pros and cons, weight up your options and choose the route that suits you best. If you pick your own road then you’re never going to be blaming anyone else for what happens on the journey! You can can find out more about Mandy on Twitter, Facebook, or at his website. Visit here (UK) or here (US) to check out her AMAZING collection of books! Finally if you still want more, make sure you follow her on Pinterest.